Music gear and modular maker Bastl Instruments have been dedicated to DIYers and open source hardware since the start. But today they’ve done a major dump of circuits that tinkerers will want to check out. Open hardware is in Bastl’s DNA. The founders from Brno, Czech Republic got their start with the Standuino, an Arduino clone, some years ago, and some assorted projects they built atop that. Using those boards, they presented workshops and jam sessions, teaching electronics, sound, and improvisation. Standuino was followed by Bastl Instruments and new desktop products, then modular, and worldwide recognition followed. The thing about doing open source hardware, though, is that it forces you to clean house – a bit like inviting somebody over to dinner. So while Bastl Instruments have always been committed to open source hardware, this week we get not just code, but schematics, too. Attention to all nerds & designers ! We did put a vast majority of our schematics to one repository on gitHub 🚀 all under CC-BY-SA license. We believe in the power of open source – all our code is on git already. At this point, we do not want to publish HW production files (eagle or gerber) since there is a vital ecosystem in place here in Brno that lives by producing our instruments. End of message. I spoke to Václav Peloušek from Bastl about the move. Schematics are enough to learn from or even make your own modified versions, while still supporting Bastl’s hardware makers and employees by buying their products, made in Czech. 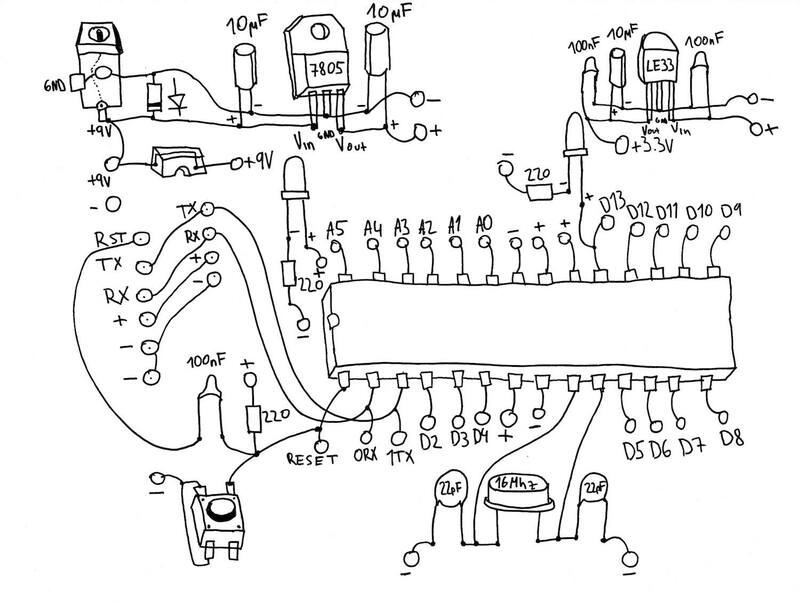 Back when Bastl/Standuino got started, schematics looked… like this. Courtesy Václav Peloušek at Bastl. So it’s a pleasure to have all this in one place. And go follow Bastl, as more is coming!